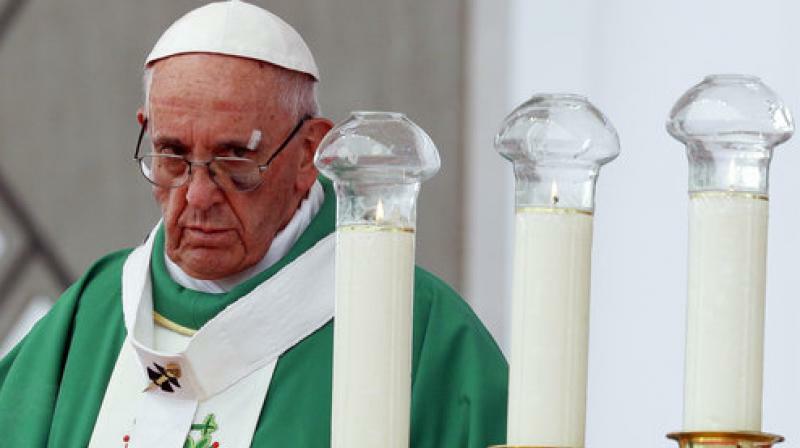 Pope Francis admitted on Tuesday that Catholic priests and bishops had sexually abused nuns, the latest scandal to rock the church. Rome: "There are some priests and also bishops who have done it," the pontiff said in response to a journalist's question on the abuse of nuns, speaking on the return flight from his trip to the United Arab Emirates. "If the Church continues to close its eyes to the scandal -- made even worse by the fact that abuse of women brings about procreation and is therefore at the origin of forced abortions and children who aren't recognised by priests -- the oppression of women in the Church will never change," editor Lucetta Scaraffia wrote. Five nuns -- in a rare public show of dissent within the Indian Church -- and dozens of supporters staged days of protests.